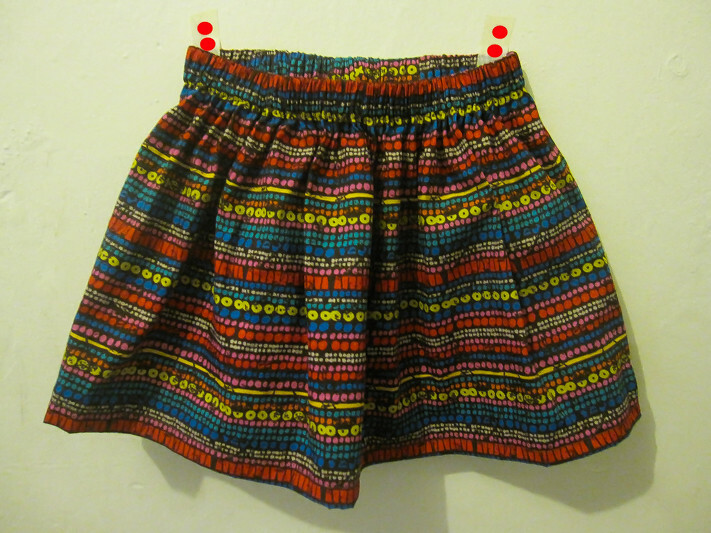 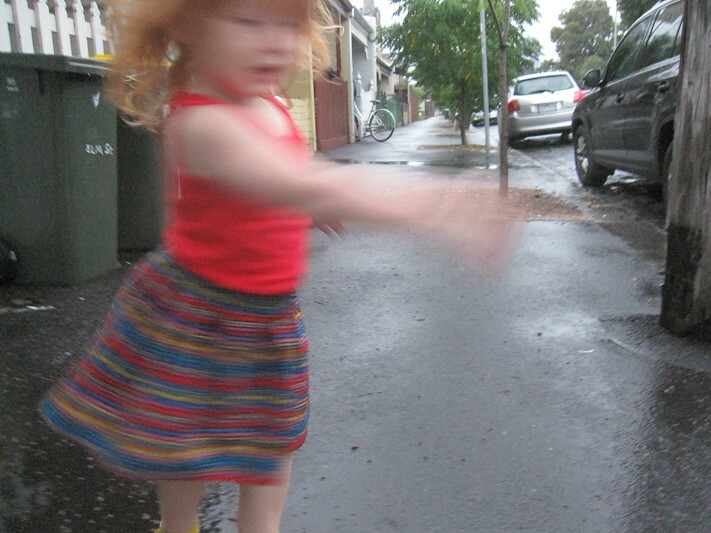 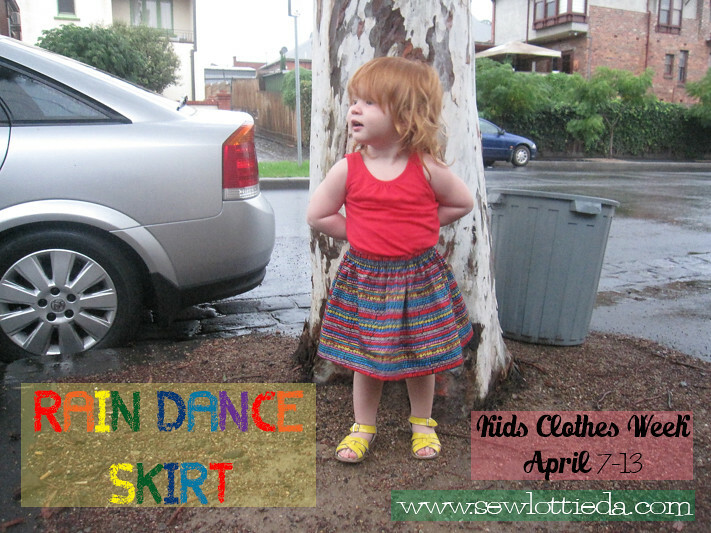 For day four I sewed up a bright rainbow colored skirt to lift our moods from the gloomy Melbourne weather. 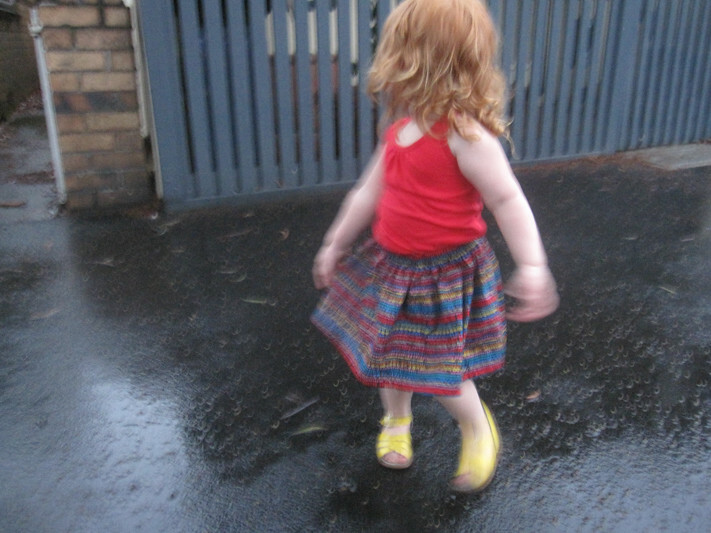 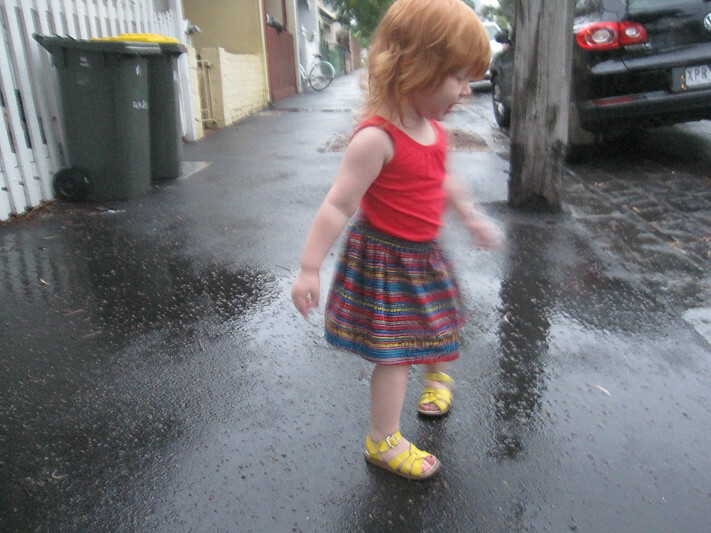 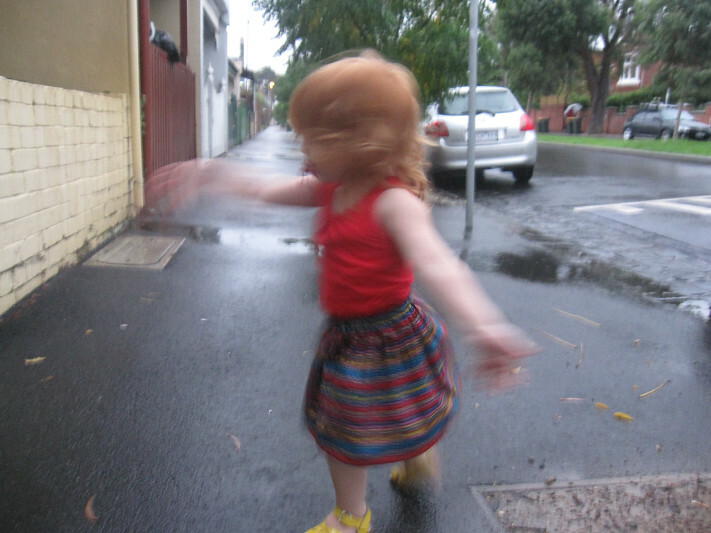 I picked up Tiny from play school and when she tried it on and I took her outside to take a photo, she immediately started dancing and singing in the rain, which then made me do the same. 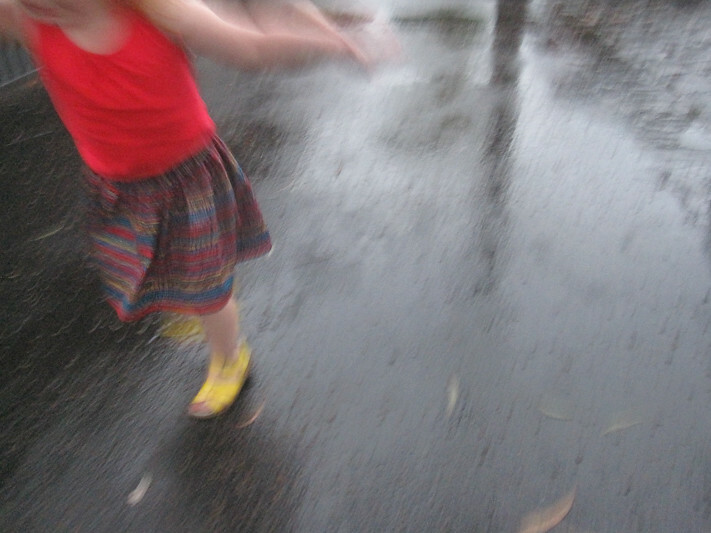 Cheer up mission accomplished! 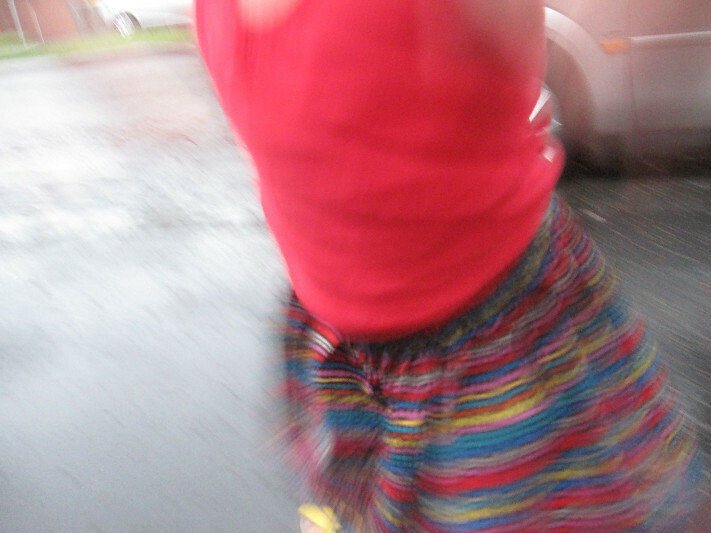 Quick and Easy tutorial here ---------> Here.